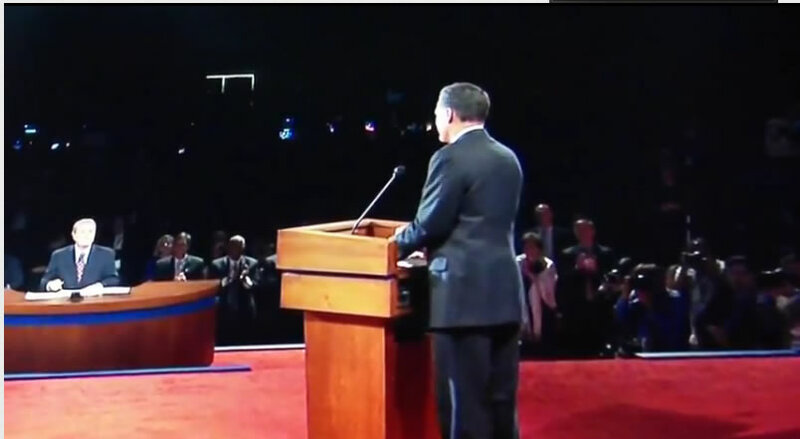 Did Romney Cheat in the First Presidential Debate, Does Video Show Hidden Notes or Hanky? However video footage suggests that Romney may have cheated as the rules state that. "No props, notes, charts, diagrams, or other writings or other tangible things may be brought into the debate by any candidate." See the screen grabs and actual footage to make up your own minds on whether Romney cheated by using notes or was it an innocent hanky. See the slow motion video here and make up your own minds. In my opinion, no candidate would risk being caught out cheating in such a public arena, so it probably is just a handkerchief rather than hidden notes that the Democrats are implying. So the real question that should be asked is why Obama failed to try? Why did he not hold Romney to account? Why did he not even mention Romney writing off 47% of the population? 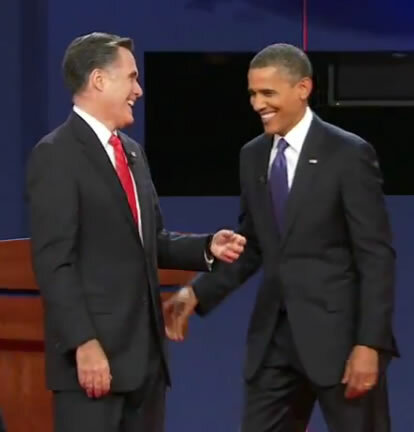 And why would Obama not look Romney in the eye? A conspiracy theory would suggest that for the elite sponsored illusion of democracy to work, the serving class (voters) need to perceive the race to be close, therefore Obama played his role in letting the race tighten up a little in voter perception when the reality for a long time has been that the U.S. in reality is a one party state, just as the UK since the early 1990's has been a one party state with little difference between Labour or Conservative and as we have seen even the Liberal Democrats party of protest as soon as they got a sniff of power, abandoned all of their principles for the trappings of power. "Ask Not what your country can do for you, ask what you can do for your countrys elite". Folks, that does it. 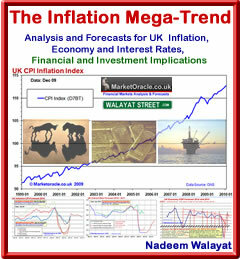 Nadeem is one of those crazies like the editors over at Business Insider. 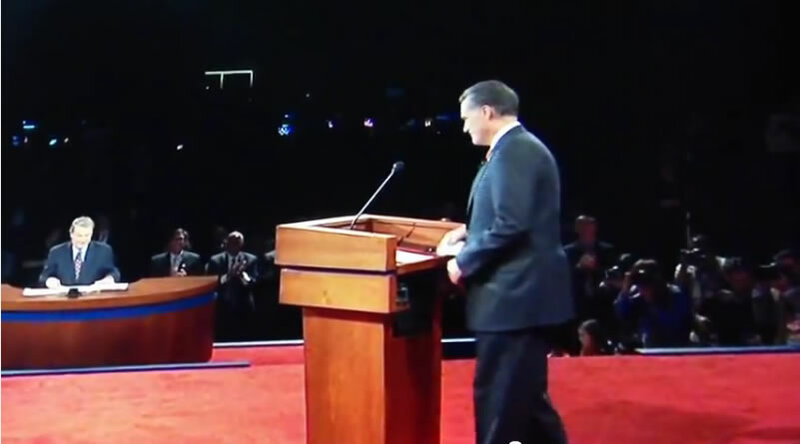 He's joined the ranks of Al Gore who yesterday, famously proclaimed that Obama lost the debate and appeared tired due to the higher altitude in Denver. There is no doubt we live in a conspiracy-filled world. More and more are buying into schemes of plunder. Nadeem: this isn't one of them. Romney was simply that good. It appears you never read past the title. It's obvious this "article" was written without doing research. Since, with research, the author would have learned that Romney and his wife Ann have explained that that paper that Mr. Romney took out of his pocket and put on the lecturn is a scrap of paper with his father's name on it. He does that for every debate he has ever had as his own way of having his father there with him. I did research. Romney spokeswoman Andrea Saul said it was an handkerchief, nothing mentioned about a piece of paper with his fathers name on it. 06 Oct 12, 08:34 WOW ! ! ! Nadeem, I just seen ur video. I didnt know what the rules was in a debate. But my wife and I watched it all. If you can get a copy of the CNN broadcast. At the end of the debate. Obama and the first family went over and greeted Romney and his family. As soon as Obama walked off the stage. 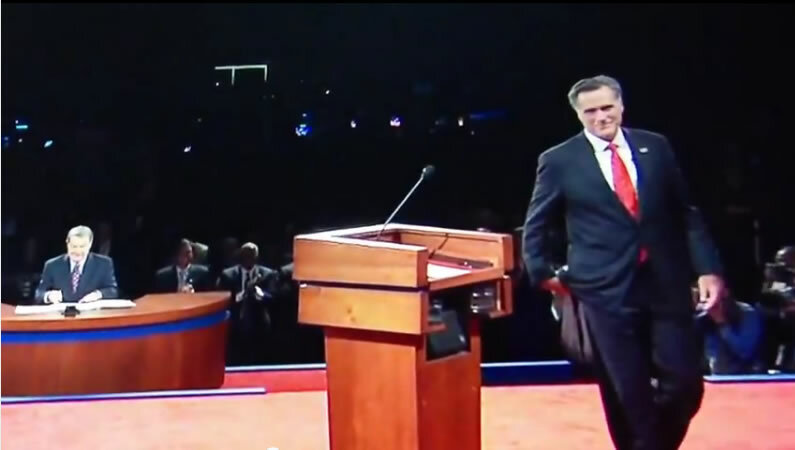 Romney run back over to the poldium and grabs the papers off and starts folding them up as he walk back to the other side of the stage. The is a man standing behind him as he starts to put the papers in his jacket. Be hands the papers over his back to some man that grabs them and puts them in his pocket. I replayed it 4 or 5 times. I was telling my wife to look at it. There was something he wanted to hide and make sure NO ONE seen. I never seen him reach in his pocket.But it does make sents now. PLZ !!! 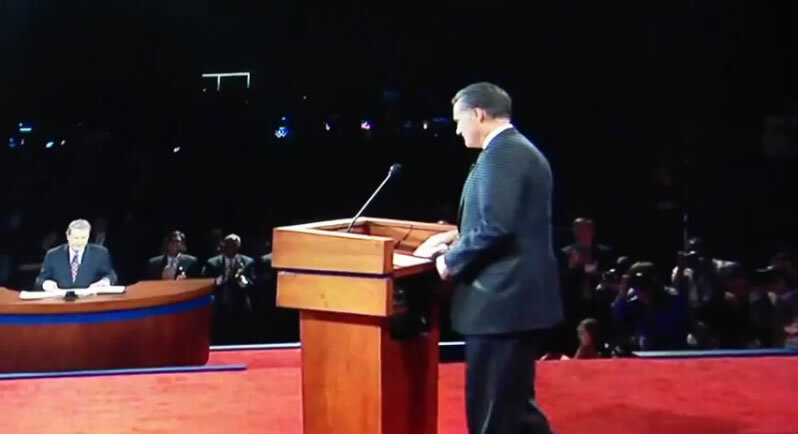 take a look at the end of the debate footage. I seen it on CNN .